Global Financial Group was founded by Dave Hawk in 1999 and was built to serve the freight industry. Our corporate headquarters is located at 3119 S. 9th Street in Council Bluffs, Iowa. Global Financial is an alternative lending company. We buy Accounts Receivables from our customers using a lending tool commonly known as factoring. Our factoring program is designed to be flexible which allows us to meet the needs of our various customers. This program allows us to make funds available to our customers very quickly and to do so without increasing debt. Since our inception we’ve provided over $300 million in funds to our customers to help them manage their cash flow. We’ve factored more than 200,000 invoices. And while we advertise access to funds within 24 hours, we’ve actually been able to provide same-day wire transfers in most cases. We’ve done all this while charging some of the lowest fees in the industry. If you have more questions, please check out our Q&A section below or Contact Us with any question you may have. Once you’re ready to get started with a factoring account, please fill out an Account Receivable Funding Application. We’ll get started processing it right away. Most new approvals are finished within 24 hours. Factoring is simply “quickpay.” It enables you to avoid sending invoices to your customers who may take up to 90 days to pay. Instead, Global Financial will buy your invoices for a minimal fee and pay you within 24 hours. The invoices are then forwarded to your customer. We do the waiting so you don’t have to. Many companies can’t afford to wait 30 or 60 days for payment. 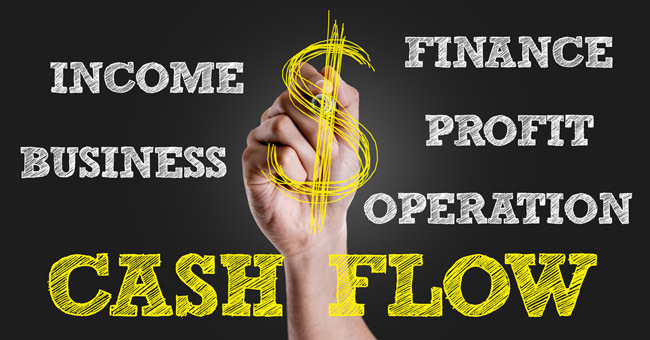 A strong cash flow is important and factoring provides the capacity to grow when other forms of financing may not be available. Factoring can allow you to access credit and collection services at a fraction of the price. Factoring services allow your business to be more competitive while improving your cash flow, but factoring also means suppliers are paid faster. Typically it’s just pennies on the dollar. Global Financial will outline your options based on your business needs and what works best for your company. Our account managers will assist you along the way with any question or issues as your satisfaction is our priority. Not at all. Many companies require a lot of cash. While working with banks and other traditional lenders can be troublesome, Global Financial can provide you the ability to operate smoothly with a steady flow of cash. What size business do we serve? We serve all sizes and grow with you. No, you decide which customers you’d like to factor. As your customer base grows you can add new customers as you please. How will my customers know where to send payment? Your choice: wire transfer, ACH, direct deposit, or check. Will my customers think I’m in financial difficulty if they find out I’m factoring? Definitely not! Factoring is a viable financing option for many businesses and has been around for many years. As long as it is handled in a professional manner, your clients will understand you’re doing what’s necessary to create cash flow for your business. If my customers know that their invoices are factored, will they take longer to pay them? No. More often than not, it’s just the opposite. If your customer is a large corporation with its own invoice-payment policy, it will make no difference who the creditor is. If your customer is a smaller company, they will be inclined to pay faster knowing that we, as a Factor, are a prime reporter of credit information and an influential credit-reference resource. Does Global require additional collateral when my company is factoring? Never. We only require a first position on accounts receivable. Many factors require an additional security interest in other assets of your company. How long must I factor my invoices? With Global, you don’t have to sign a long-term contract. It is not required in order to factor with Global. The initial funding takes less than 24 hours after we receive your signed agreement. If you wish, you can send some invoices to be funded with the signed contract in order to expedite your funding. After the initial funding, your company can receive funds the same day the invoices are submitted. How much of my company’s accounts receivable can be funded? We can fund up to 100 percent of your company’s creditworthy accounts receivables. What should I do if my customer mistakenly sends the payment to my company? This is very common especially with the first initial funding. If this occurs, the check must be sent to us immediately. Your company should never deposit invoice checks that were already purchased by Global. Your customer will be notified to pay us directly in the future. What should I tell my customer when they find out I am financing my receivables? Should an account debtor (customer of our client) who is unfamiliar with factoring question the notice of assignment and ask what is going on, the business owner only needs to tell them they have chosen to use a company to manage and finance their accounts receivable. Will my company be eligible for accounts receivable funding if it has a bank loan or line of credit? If a bank has a lien on your company’s accounts receivable, you should let us know right away. We will ask the bank to subordinate that lien. Some banks will accommodate the request and others may decline depending on your circumstances. Our number one referrals come from loan officers willing to help out the client in cash flow needs. They are very familiar with this kind of interim financing. Factors make funding decisions based on the credit-worthiness of your customers; a bank makes a credit decision based on your company’s financial history, cash flow and collateral. Because factoring is not a loan, no liability appears on your balance sheet. Also, a factor makes funding decisions in days or hours – while a bank may take weeks or even months. A reliable factor will also provide a personal account executive and a quality credit check system. What companies benefit most from factoring? Each situation is unique. We view every client’s circumstances as an opportunity to create a flexible, dynamic solution. Factoring works well for companies just starting out as well as high-growth companies. How will your customers be treated by Global? Global collects from your customers in a professional and courteous manner. Because of our long history in the trucking industry, we have valuable relationships with many of the people you already haul for, making the whole process seamless.